An “organized network associated with ISIS” was disrupted by the RCMP on Tuesday with the arrest of an Ottawa man allegedly involved in financing the travel of recruits and charges against two of his associates, who remain abroad. FacebookA photo of Awso Peshdary from his Facebook page. 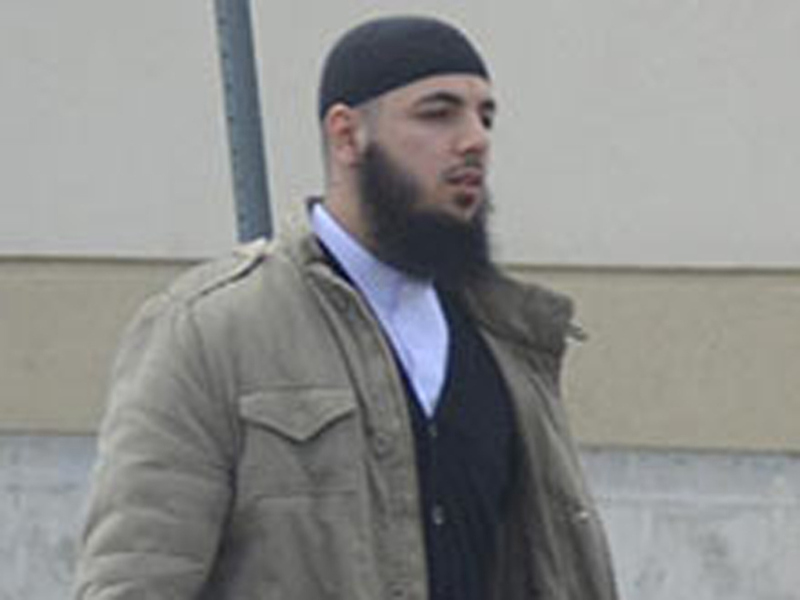 Awso Peshdary, 25, was charged with three terrorism counts for allegedly conspiring with John Maguire, 24, to send Canadians to Syria to join ISIS. Among them was allegedly Khadar Khalib, 23, who traveled to the region last year. “Our evidence shows that these individuals conspired to participate in or contribute to the activity of the Islamic State in Iraq and Syria, also known as ISIS,” Assistant Commissioner James Malizia told reporters at RCMP headquarters in Ottawa. The charges followed an “extensive and complex” investigation dubbed Project Servant, conducted by the RCMP’s Integrated National security Enforcement Team, with “important leads” provided by the Canadian Security Intelligence Service. But only Mr. Peshdary is in custody. 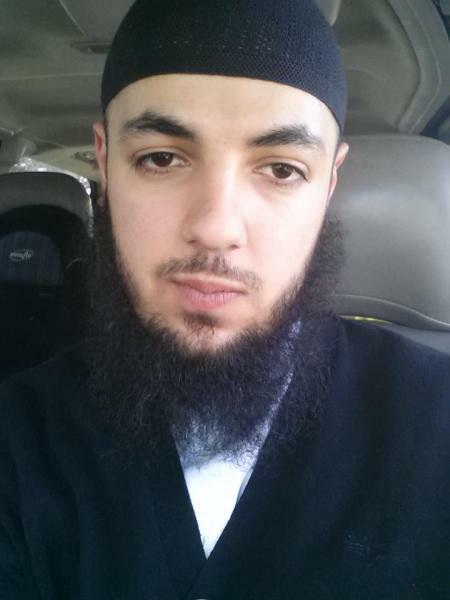 Mr. Maguire left Canada in late 2012 and became an ISIS fighter, while Mr. Khalib did the same months later. Mr. Maguire was reportedly killed in Syria last month but police said that remained unconfirmed. The charges are the first in Canada related to a facilitation network alleged to have been helping send foreign fighters to ISIS. 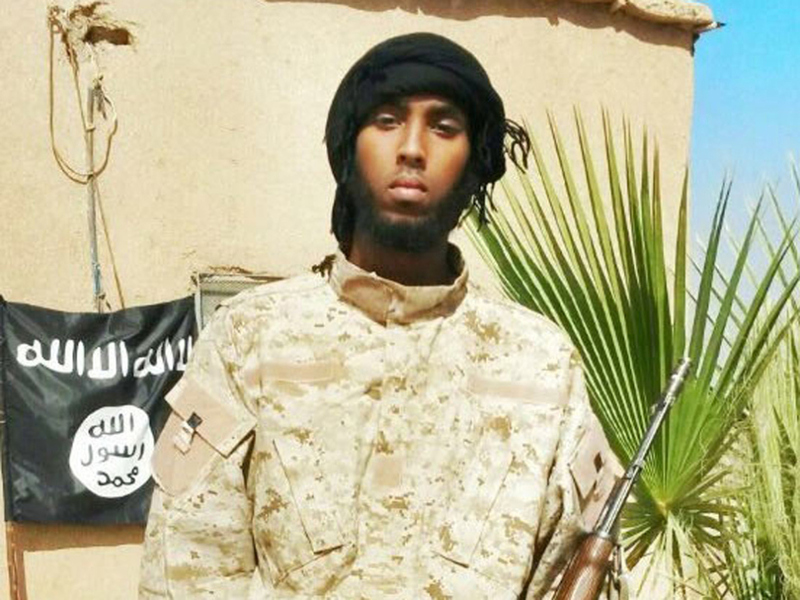 “Peshdary provided financial support to facilitate the travel to ISIS. And the others travelled abroad to become members of ISIS,” Comm. Malizia said. Police said a “spin-off” of the investigation had resulted in the arrests of three other Ottawa men in January. Twins Ashton and Carlos Larmond, both 24, and Suliman Mohamed, 21, all face terrorism charges as a result of the “parallel” investigation. After Project Servant began in January 2013, “another network began to unfold,” the RCMP said. “And due to imminent travel we were forced … to affect arrests.” Carlos Larmond was arrested as he was about to board a plane at Montreal airport. RCMPA photo Khadar Khalib released by the RCMP on Tuesday as part of an extensive national security criminal investigation. A big box store employee, Mr. Peshdary was charged with participation in the activity of a terrorist group and facilitating an activity for a terrorist group. Along with the other two, he also faces a charge of conspiring to participate or contribute to an activity of a terror group. Mr. Peshdary has long been on the radar of counter-terrorism authorities. In 2009, he was the subject of a CSIS investigation into a Canadian terrorist group whose leader had trained in Afghanistan and had plotted bomb attacks in Canada. Court documents alleged that Mr. Peshdary, an Iraq-born naturalized Canadian citizen, had been looking for a gun and was attempting to raise money so he could leave Canada to engage in jihad. But he was exposed by an informant. Handout / SITEJohn Maguire's mother says her son left for Syria four months after he converted to Islam in August of 2012. He was reportedly killed while fighting with ISIS in Kobani. Although Mr. Peshdary was arrested in August 2010 following an RCMP counter-terrorism probe called Project Samossa, he was quickly released. Two of his associates, Heva Alizadeh and Misbahuddin Ahmed, were convicted last year. More recently, he has been active in the Algonquin College Muslim Student’s Association, speaking at the 2014 campus Islam Awareness Week, and writing on his Facebook page about what he considered the mistreatment of Canadian Muslims. “While many in the Islamic State openly tweeted the death of John Maguire, it is clear that the Canadian government is less than sure,” said Mr. Amarasingam, who is conducting a study of Canadian foreign fighters. “There seems to be a persistent, and probably worthwhile, fear among Canadian law enforcement, that these guys could fake their own deaths, sneak back into the country under a fake passport, and launch Paris-style attacks in Canada. Following the Oct. 20 and 22 killings of Canadian Forces members by suspects espousing Islamic extremist beliefs, as well as subsequent deadly violence in Australia and Paris, counter-terrorism officials have been pushing to prevent further attacks. According to the latest government figures to be publicly released, about 130 Canadians are active in armed Islamist terrorist groups around the world, including in Syria and Iraq. Another 80 have returned to Canada after taking part in Islamist extremist activities. To prevent them from leaving, the RCMP has been heading an inter-agency High Risk Travellers program that attempts to identify extremists and prevent them from leaving Canada by seizing their passports or putting them on no-fly lists. Public Safety Minister Steven Blaney commended the RCMP and CSIS for the case. “Their diligence and dedication serve to protect Canadians from those who wish to cause harm and threaten our freedom,” he said. The charges came four days after the government introduced new counter-terrorism legislation that would give security agencies new powers to disrupt terror plots and make arrests. The Harper Government is simply using foreign terrorism to justify blindness to Domestic Terrorism being directly funded with Billions of Dollars of Federal money while remaining absolutely silent to the problem of Domestic Terrorism by those who abuse absolute power.